If you were to join a Proprietary Trading firm starter program you might be surprised to find out that you they won’t teach you ‘the’ strategy they use for making money. They will instead teach you some foundations of trading – mainly money management, organization and an overview of various trading methods such as interpreting the DOM, Spread Trading and maybe some Technical Analysis. If you are lucky you will also receive some insights from experienced traders on the market structure, how value is determined and some basic order flow analysis. The majority of trader development is achieved through trading exercises and review through which traders start to find their own particular edge in trading the markets. 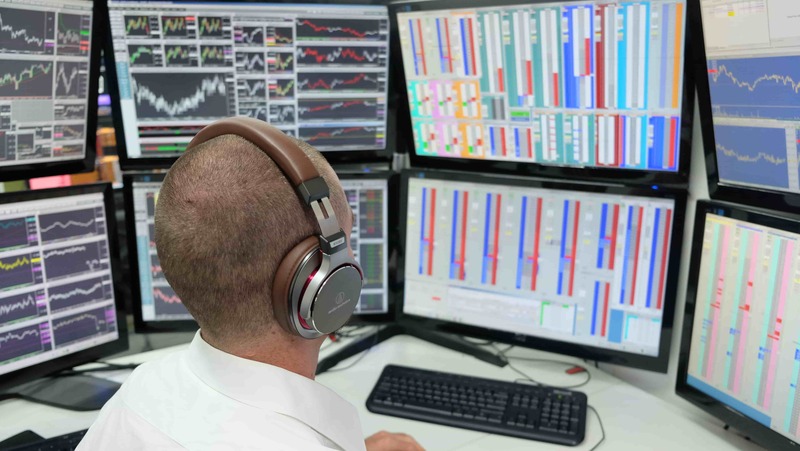 Then traders are given a small account to overcome some of the psychological hurdles that arise when trading live, and to get consistent with, before being given a bigger risk allotment. The training and exercises usually last just one or two months. Depending on a traders potential you may get anywhere from 3 months to 1 year to consistently cover your costs. Trading exercises are the key to understanding market behaviour and uncovering your weaknesses and exposing your strengths. For those familiar with the trading classic book by the late Mark Douglas – ‘Trading in the Zone’, this fascinating look into trading psychology has one simple conclusion to resolve most trading issues, and that is, successfully complete a trading exercise. His ‘Path to Consistency’ workshop actually goes into more detail about this, more about that later. So let’s dive in and talk trading exercises. In the following posts we are going to walk you through a number of trading exercises that are being used by professional trading firms to hone their new trader’s skills. The goal of the exercises is to rewire your brain to adapt to constantly changing market conditions, develop market intuition and most importantly – remove rookie trading mistakes. We will cover the various rookie mistakes in the relevant exercise review sections. Trading futures and other products involves the risk of loss. Please consider carefully whether trading is appropriate to your financial situation. Only risk capital should be used when trading futures or other products. We are providing trading exercises which can be used to improve your trading prospects through dedicated trading skill development. Results obtained completing the exercises with a simulator or live account are not indicative of future results. The risk of loss in trading can be substantial, carefully consider the inherent risks of such an investment in light of your financial condition.